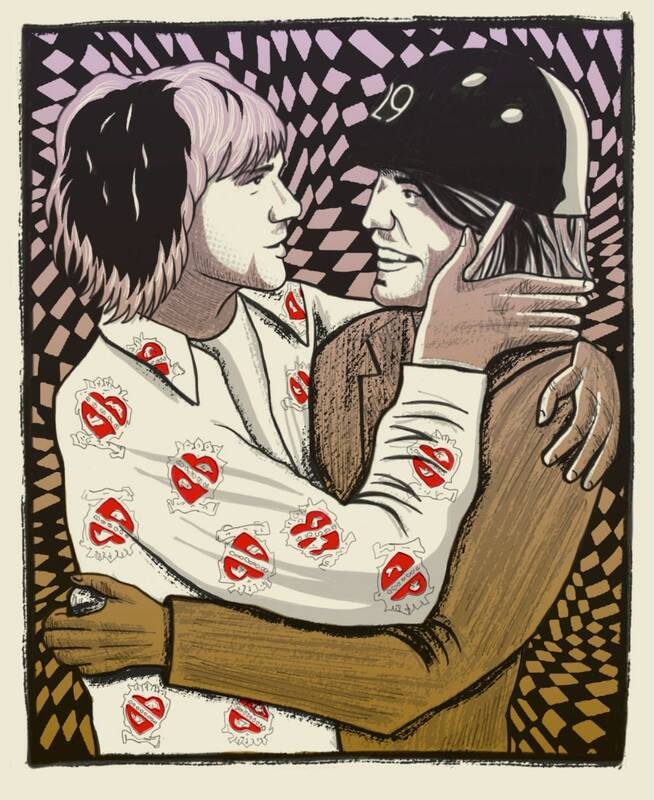 This is a limited edition four-color screen printed art print entitled "Grunge Treaty of 1992". At the 1992 VMA Awards Kurt Cobain and Eddie Vedder slow danced backstage. Grainy video of this was shown in the PJ20 documentary. I’ve always loved the image and wanted to try to capture it. A lovely moment between two great artists of the 90s. The image was drawn by hand and screen printed, four-colors with a split fountain layer and a transparent layer. The print measures 18x24 and is signed by the artist in a run of 50. Prints will begin shipping next week and will be rolled in craft paper inside a sturdy tube.